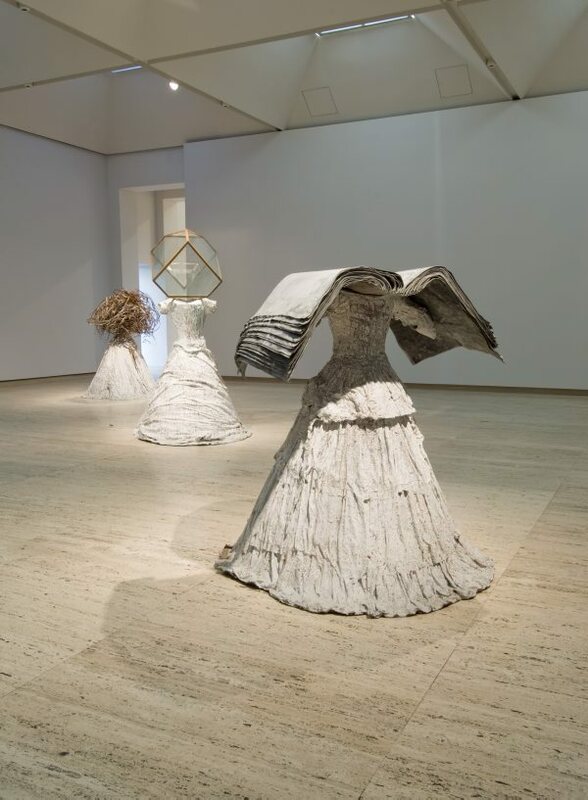 Although Anselm Kiefer remains best known for his work of the late 1970s and 80s that dealt with the holocaust, his relief painting ‘Glaube, Hoffnung, Liebe’ 1984 (AGNSW collection) was a transitional work that became a starting point for a more philosophical investigation into the paradox of being a conscious and spiritual entity in a material world. Yet despite this diversification, some collectors felt uncomfortable with Kiefer constantly reminding them of the holocaust and their need to remain accountable. In 1993 he sold the old brick factory that formed part of his studio complex and moved to Provence in the south of France. It was a significant break with his past and marked the beginning of a new body of work with new themes. Although archaic sources have informed his work since the mid 1980s, his attention now turned increasingly towards esoteric belief systems, including kabbala, ancient Egyptian and European gnosticism and the ideas of the English 16th-century mystical philosopher Robert Fludd. While living in Germany, Kiefer seldom left his home village even to attend his own openings. 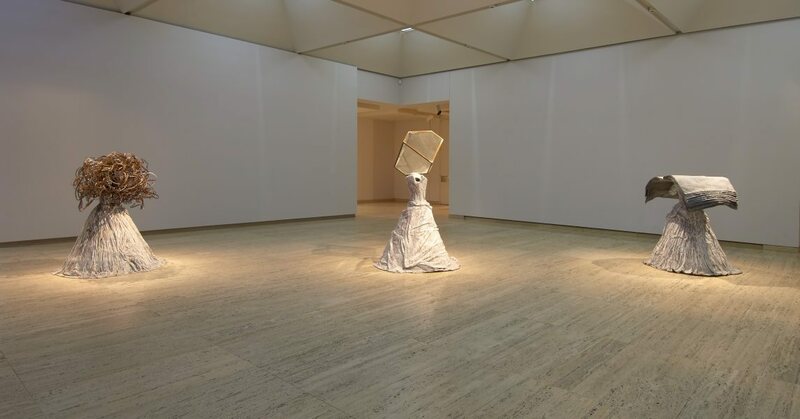 Since moving to France, however, he has taken to spending up to three months of each year exploring remote locations around the world, including a period spent in Australia in 1992. These travels are times of research into ancient traditions and opportunities for gathering materials such as antique storage jars, dried flowers and grasses which he ships back to the studio. Another of his recurring interests has been the unfair treatment many mythologies have handed out to women, particularly strong women whose intellectual questioning has been seen as unruly and cause for demonisation: for example Pandora and Lilith. In ‘Women of antiquity’, Kiefer uses attributes to identify individual characters from history: a lead book identifies Myrtis, a Greek poet blamed for competing with Pindar; a glass ‘melancholia cube’ represents Hypatia, an Alexandrine philosopher who was brutally murdered in sectarian unrest in 415 CE; and a rusting mass of razor wire signifies Candidia, a Roman witch who wove vipers through her dishevelled hair. 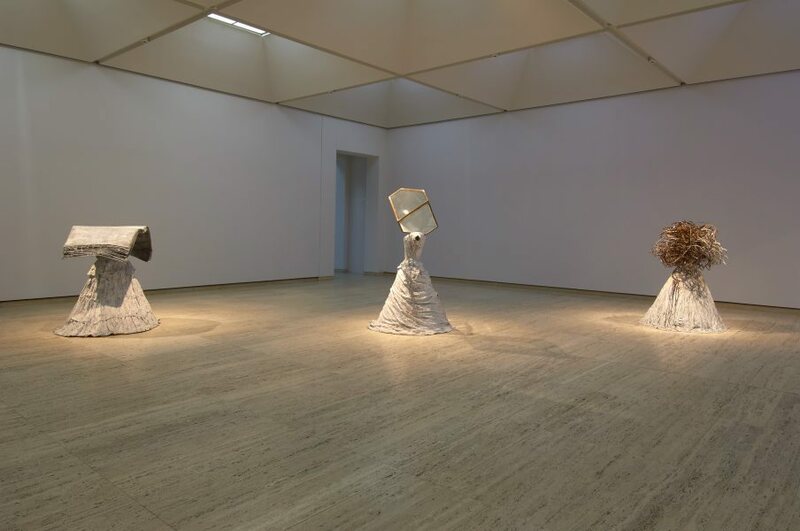 Each attribute signifies some aspect of the story associated with the woman in question but they are also recurring themes in Kiefer’s art. He has been making lead books since the early 1970s and sees these as batteries that store history and knowledge.1 Being lead, they may offer protection from decay and even nuclear radiation, but lead also has associations with entombment. The ‘melancholia cube’ is a cube with the corners cut off and is thus seen as incomplete, like human understanding. Here it specifically references Dürer’s great etching ‘Melencolia I’ of 1514 (AGNSW collection) which illustrates how, in the Renaissance, creativity was associated with melancholic states. Candidia’s razor wire has all the usual connotations but this is a rusted and dysfunctional trace of exclusion. 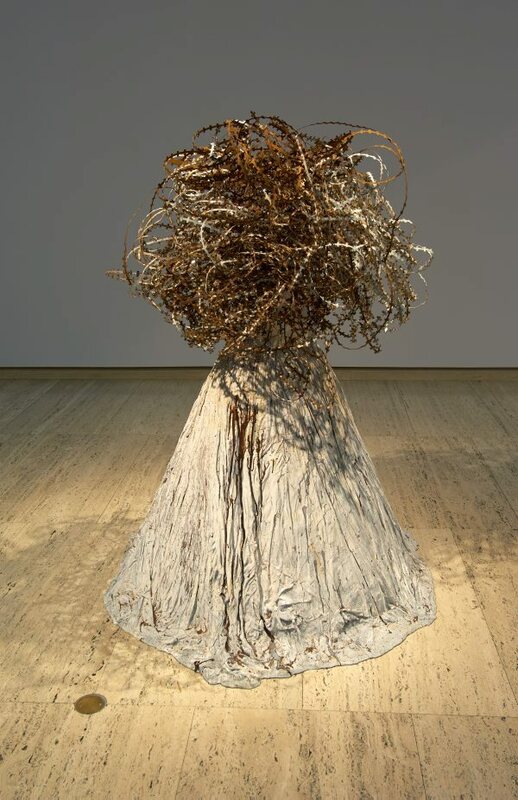 It also becomes associated with another of Kiefer’s favourite materials: great tangles of thorns, also rich in mythological and religious assoc-iations, which he collected in Morocco. 1. This is a term borrowed from Joseph Beuys, who was a great influence on Kiefer. When Beuys made bundles of newspapers as part of an installation, he described them as batteries or sources for historical change. 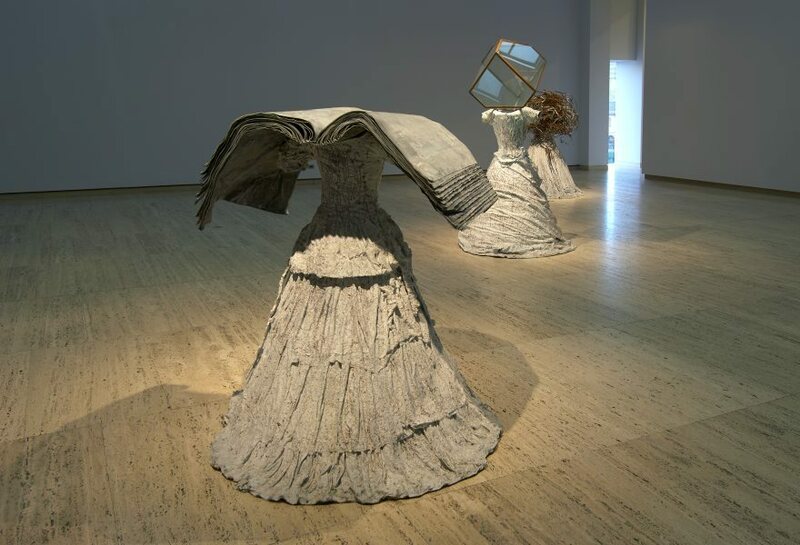 Signed lower edge each sculpture, embossed with a hammer stamp "Anselm Kiefer...". Not dated. Anthony Bond, Look , 'Rehang of Level 2 June 2012', pg.28-30, Sydney, May 2012, 30 (colour illus.). 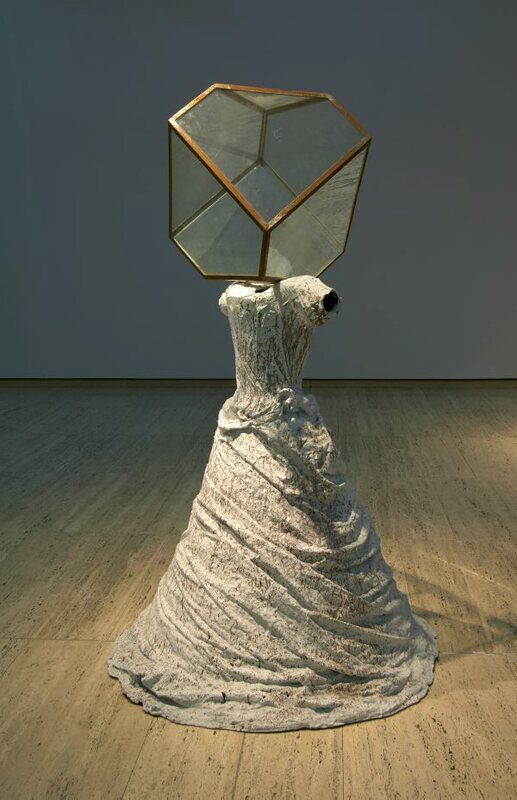 Anthony Bond, Contemporary: Art Gallery of New South Wales Contemporary Collection , 'Imagining the body', pg.246-89, Sydney, 2006, 4 (colour illus. ), 274 (colour illus. ), 275. Jill Sykes, Look , 'New on two', pg. 18-9, Sydney, Sep 2006, 18, 19 (colour illus. ).